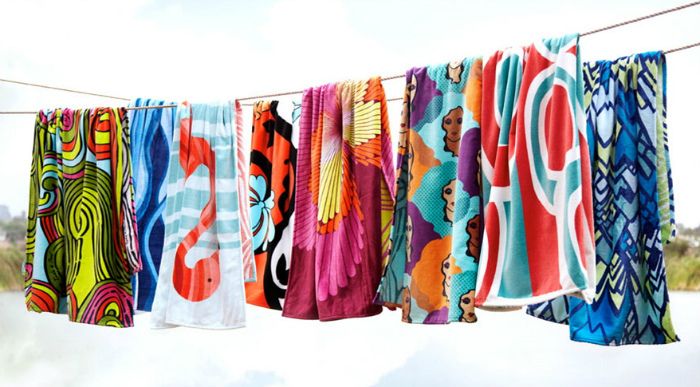 How can You Display the Beach Towel Wholesale Pieces? We get you Covered! Interior decoration has become the fetish for women today that once was just a necessity. This luxurious hobby has made it a mandatory aspect for the women to keep things in place, and make the interior look more alluring and on point. Though there are certain items that become a nuisance, because we don’t really understand how to store them. Yes we are talking about the colourful beach towels that should be displayed for better and additional effect in the rooms, but also run short of ideas to display them properly. Keeping in mind the conundrums that women go through to place the beach towels properly in tune with the theme of the interior decoration, we have got you covered with few superb ideas to display the beach towel wholesale products, exuding the perfect finishing edge. You can give way to the in storage cabinets made of plastic and glass or wood and glass to display the towels in a very organised manner. They are versatile containers and can fit in any of the rooms easily and you can also keep other stuffs inside them. The charming vintage cabinet or a very posh and modern one can be bought or made to add some poise to the colourful beach towel you want o keep for display and use them for beach outings. You can add the racks in the bathrooms that are sleek and take minimum space. Though traditional, they are also very easy to fit and use to keep the beach towels. These racks can come in metals like steel or wood, and act as the perfect storage place for the towels. They are very convenient as there’s space for towels on top of the rack, as well as hooks for towels in use. The left over or even the new baskets can be used to fold and store the beach towels. They are not only amazing containers for bathroom necessities and towels but also add some natural elements to your bathroom or dressing room. The baskets can be hung up on a bar fixed to the wall like the picture before, or be humbly put in the bathroom corner or on top of the cabinet. If you want to spice things up a bit, attach the baskets or wooden drawers directly to the wall for a very lavish and stylish look. The old ladder you have can be turned new with a coat of paint and you can keep it in the bathroom to store the colourful and printed beach towels easily. Color them according to the color of your walls. If the wine rack you had once made has become useless, you can use them for storing the beach towels. Metal wine racks bring a French country feel and the white or other light colored beach and bath towels lend a very romantic stance to the whole bathroom or room interior. Go contemporary and get the wooden barrels made that can be mounted onto the wall to save space. They take minimum space and are super stylish and modish. Get the standing towel rack form the retail store as its very decorative for a contemporary home. Keep the towels on it, to reflect a much put together ensemble.